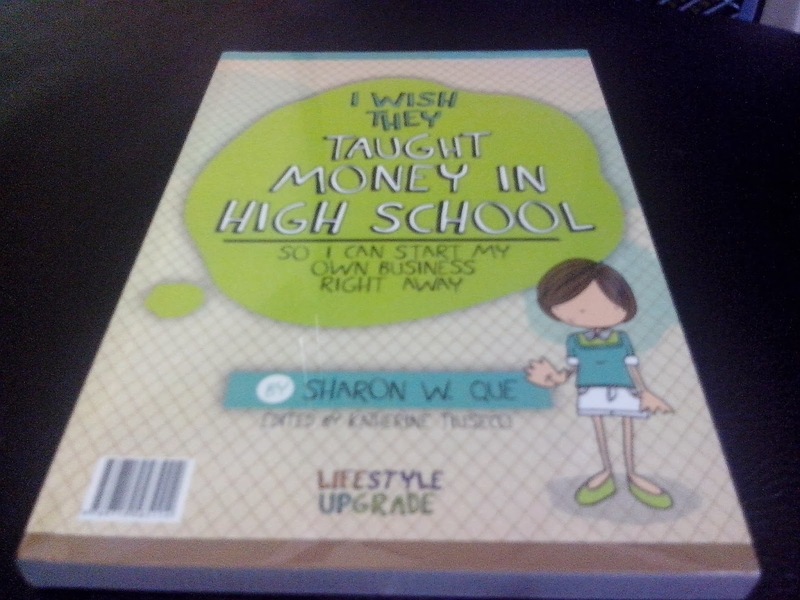 I've been a fan of Robert Kiyokasi's books- Rich Dad, Poor Dad and Cashflow Quadrant book so I was surprised when I read "I Wish They Taught Money In High School," a 2-in-1 book by Sharon Que and Clarissa Serina- De La Paz. These two writers didn't just read Kiyosaki's books, they applied the principles themselves in their own businesses and how the dealt with their money. The author reminisces about growing up and learning about business from her parents and started selling stuff to her classmates during her high school years. At that age, she learned how to handle her finances well and even enjoyed what she was doing. "All my decisions thereafter were geared toward becoming a better entrepreneur." At a young age, the author was taught the basic rudiments of handling money by her parents by giving her weekly allowance, thus enabling her to balance and stretch her money from Monday to Friday. Then in college, her allowance was given to her on a monthly basis. She compared this experience to those who are already working and employed. "I not only learned how to budget, but also to have discipline toward spending beyond my allowance." Ms. Clarissa Serina- De La Paz also noted how notably smaller her school allowances were compared with that of her classmates. Her parents later on explained that this was deliberate so that she and her siblings will have the passion to earn independently. She and her sister sold bookmarks which they made during school vacations. It was also her father who encouraged her to venture into the stock market arena. Her parents style of parenting helped a lot when it comes to how she handle her money. It was also in college where she tutored fellow students and even had get from additional cash from singing at weddings. This reinforced the idea that: "we can make something out of nothing." 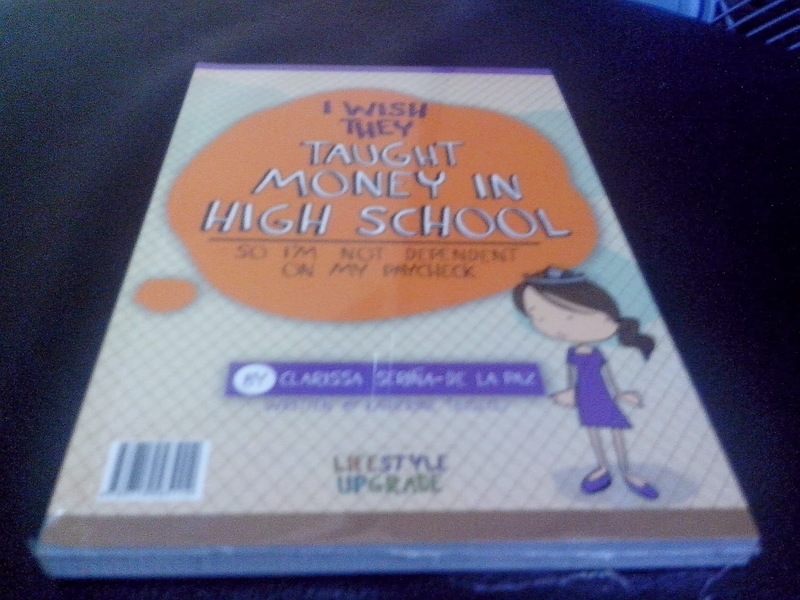 Learn more about how to handle your finances well and how to make your money grow by getting your own copy of - I Wish They Taught Money In High School. You can purchase the book online thru Lifestyle UpGrade. You can also visit their FB Page.